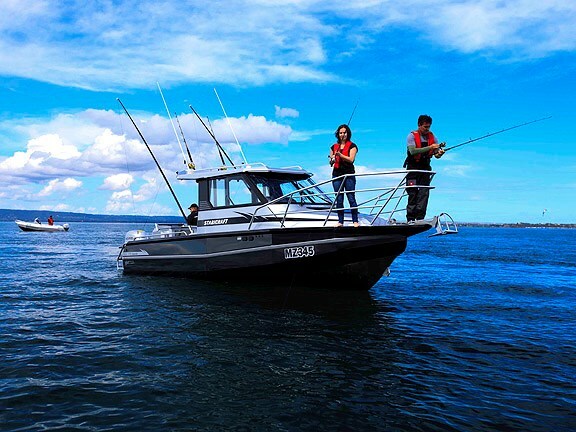 Any serious seafarer will tell you that their choice of boat is all about function, ride, strength and, ultimately, safety. And if that's the case, Stabi's latest offering sure ticks all the boxes. 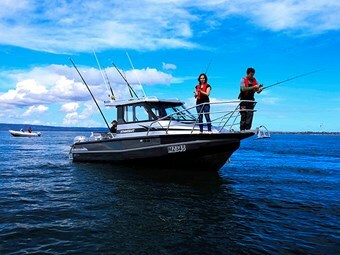 The new 2570 supersedes the 759, thereby making an appealing boat even better. 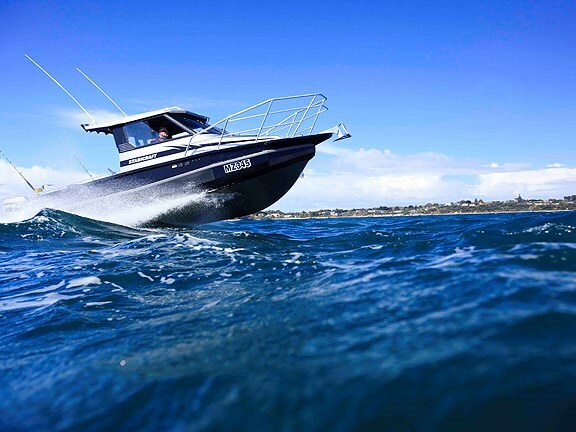 Our test boat had been transformed into a veritable offshore weapon by merging the dynamic power of twin 150hp Hondas with enormous range from two 250-litre fuel tanks. While Stabicraft supplies a Porta-Potti as standard, our test boat was destined for an aftermarket toilet and holding tank. There is also service access to the standard 'Stressfree Mini' winch from a 'So Pac' style hatch in the forward bulkhead. 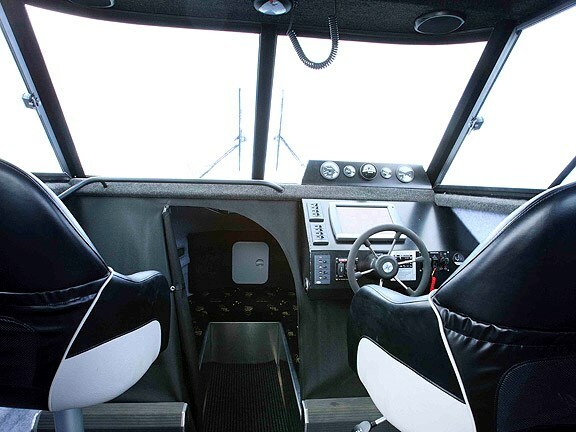 Stabicraft's 'Superfish Transom' is a statement in fishable design. 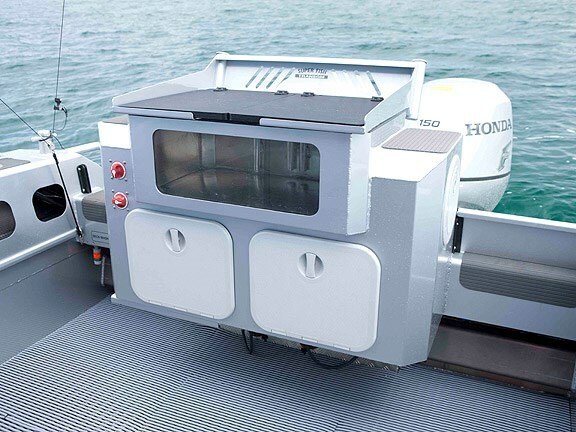 It can only be called a large 'workstation' that combines a big bait board with a huge live-bait tank and enclosed storage for plenty of batteries, pumps, oil bottles and switch gear. The battery isolators are conveniently mounted on the front face of the Superfish workstation and there's a big, clear insert to keep a good eye on your livies. Again, if it were my boat, I'd like to see the fuel filters moved from under the workstation, as I could imagine them getting kicked or tail-swiped by a gummy or similar. 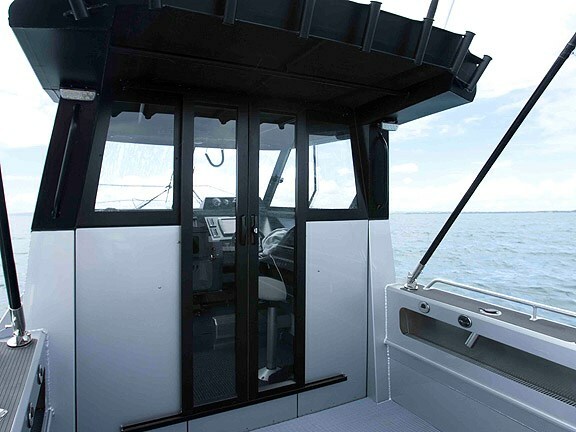 There is a small doorway to the transom on both sides of the boat making boarding access very easy. 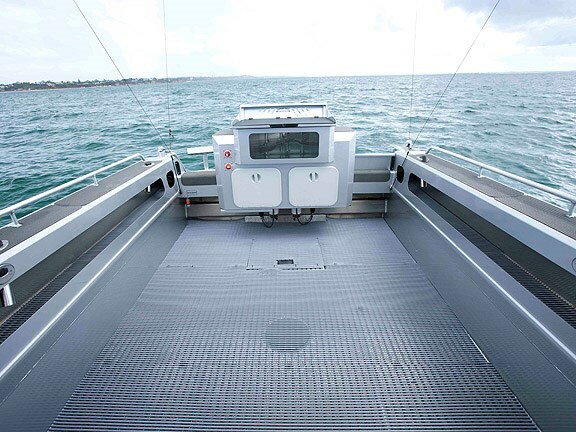 The Stabicraft definitely retains many of its commercial features: strong bollards; big bowrail; 6mm hull with 4mm sides; compartmentalised and pressure-tested flotation pontoons; and a no-nonsense approach. Even so, the whole family can enjoy this boat. 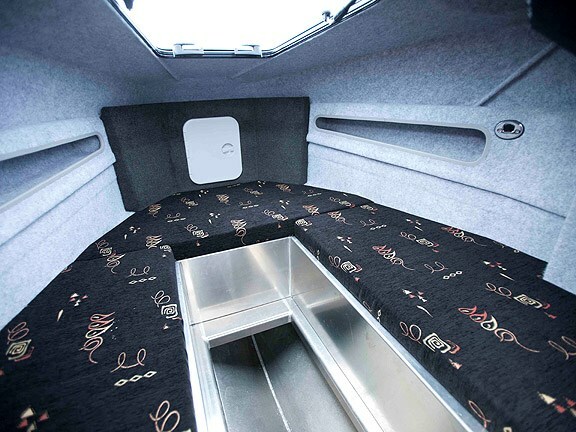 There are no rough edges, the exposed welds show masterful craftsmanship, and the interior is fully lined and quite attractive. As mentioned previously, Stabicraft has worked hard on getting the ergonomics right for all applications, be they commercial or recreational. Even the paint finish is good and Stabicraft seem to have spent quite some time with their design gurus coming up with some effects and decals. On the move in the washing machine that was the chop left behind by the previous evening's bad weather, the Stabicraft showed its surefootedness in difficult conditions. The ride is generally very good but you do get a few unhappy endings in the slop. That said, a quick look at the speed shows just how fast you can travel in this battlewagon, even in quite difficult conditions. It travels surprisingly quickly and you can cover plenty of water at a fuel efficient and comfortable travelling speed of 26kts (48kmh) at 4200rpm. The 22-degree deadrise hull pops out of the hole quite nicely with little bow rise, and it will travel through the really nasty offshore stuff at around 16kts (about 30kmh) at 3200rpm. Its boxy shoulders will cause some bangs and crashes but that's a fair compromise for its safety and buoyancy. The favoured Solas 18-inch stainless propellers hadn't arrived in time for our test. Instead, a pair of 17-inch Enertias on the day were red-lining the engines at a very quick 40kts (74kph) at 6100rpm. This big machine really can fly, especially with the added acceleration and thrust that is most noticeable with the 'BLAST' feature of the Hondas. I estimate that the package could break the old 50mph (80kph) barrier at approximately 6000rpm with the bigger diameter props. 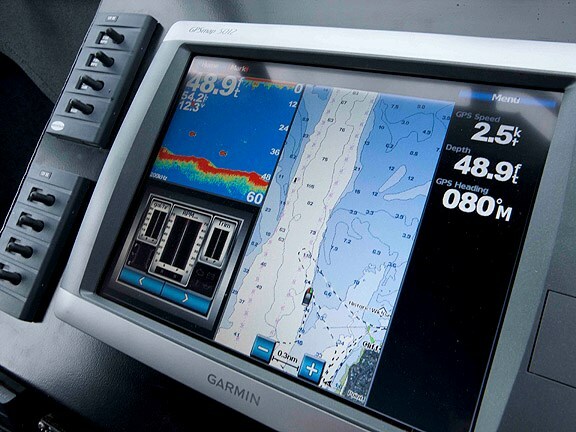 The test boat was supplied by M Y Marine, Vic, Australia. For more information, ph +61 3 5987 0900 or visit www.mymarine.com.au.